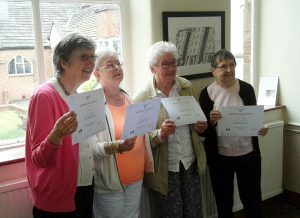 After completing their eight weeks course, four of the ‘youngsters’ show off their certificates of attendance. A thank you to Karen of Pride Media Association for putting on the course in the lecture room of the EW centre. Karen would like to return in the future to put on similar courses. ‘Apps’ she will next year if not sooner. Filming for Edgar Wood has now begun… it started on Thursday with the first tranche of shooting at the following Edgar Wood houses… The Sheil, The Hollies, Greystoke and Halecroft. There will be another Hale shoot later in the summer. Next week, Anthony Dolan and crew will be filming at Briarcourt, near Huddersfield. The Arts & Crafts Church & Middleton Heritage site became too large and people have been struggling to get around it, so we have now divided it into two. 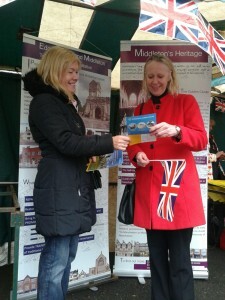 Middleton Heritage is now at middletonheritage.co.uk while the Arts & Crafts Church and Edgar Wood continue here. Now, we hope each site can develop and grow more freely and everyone will find navigation a little easier. 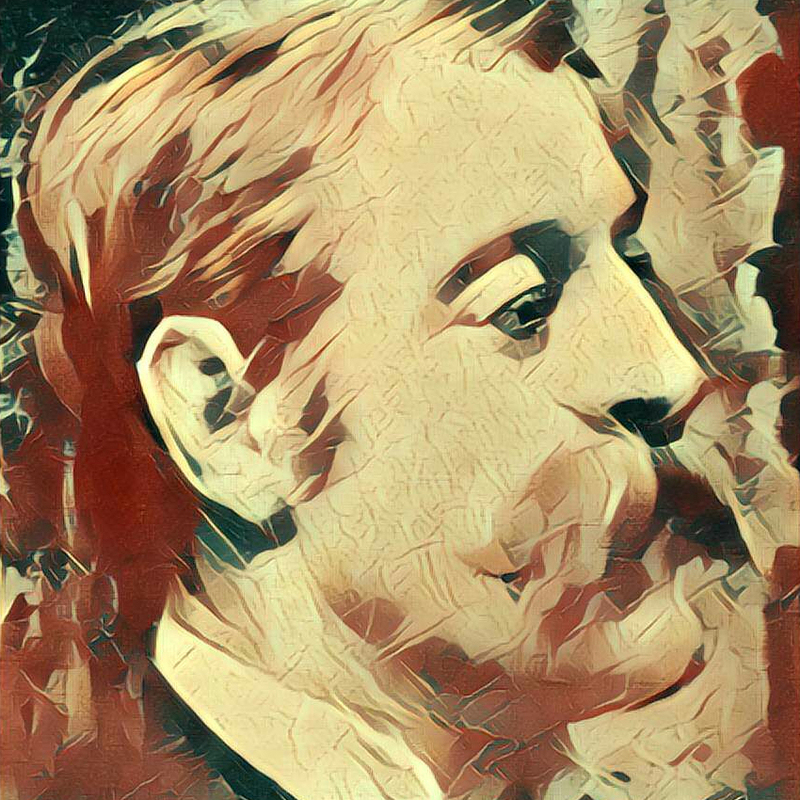 The Middleton Heritage Film Group have submitted a plan for a new film on the life and influence of Edgar Wood to the Heritage Lottery Fund. If the bid for funding is successful, the film will be shot in 2017. Students from the University of Salford (School of Built Environment) under the supervision of the Program Director of Building Survey, Simon Mclean, return for a more in depth look at the rooms in the ‘community wing’. There was speculation as to the reasons for the cracks in the brickwork starting at high level and extending into the under croft. Their survey reports for coursework will be submitted in December. I look forward with interest to read their conclusions. 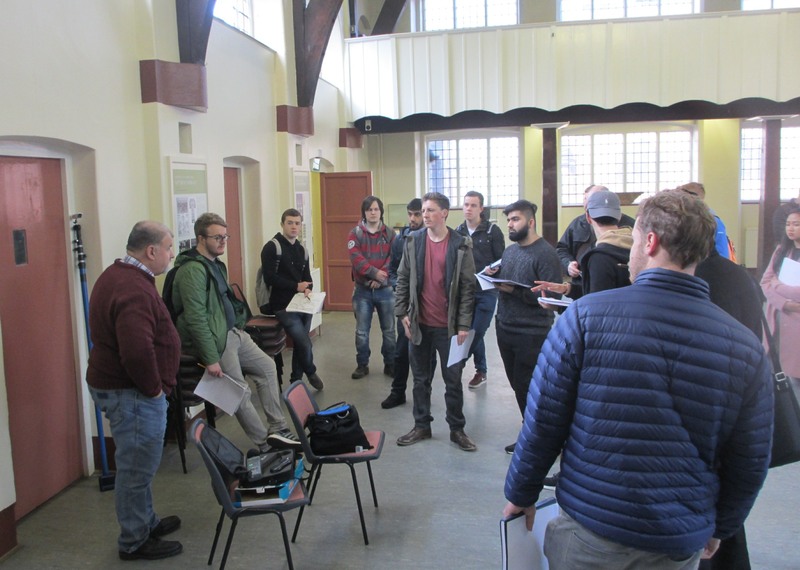 Twenty plus, second year students from the University of Salford, School of Built Environment, under the charge of Simon Mclean (Program Director of Building Surveying) came to survey the school rooms and learn of the issues related to conservation. Reports will be written and submitted for their course assessment. It will be interesting to read their suggestions and ideas for the proposed improvements to prevent water ingress, the heating and the necessary services. This is the second time that the University has used the Centre for part for their training program. Some ‘high tech’ gizmos were used, the two meters in the photograph were first being checked that they showed the same calibration. 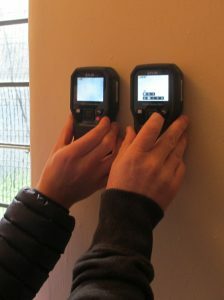 Not only did they give a moisture content readings, but also a core temperature and thermal image. Thanks everyone for your wonderful messages of support! All 440 of them! They have now been submitted with the Viridor grant and will also be forwarded to the Heritage Lottery Fund THI. Very many thanks. Click here to view some of the comments received. 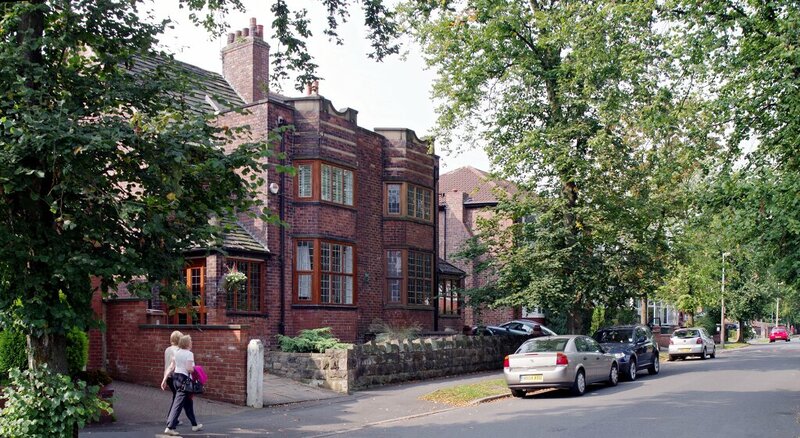 Greater Manchester Building Preservation Trust is applying to Viridor for a grant to save Edgar Wood’s Arts & Crafts Long Street School. 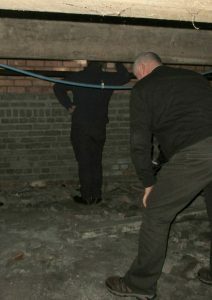 Restoration will mean that the premises will be available for community use. Please show your support in the Leave a Reply box below or send an email to gpg@talktalk.net by Monday 25th September. I support the grant application to Viridor for to restore the Edgar Wood School buildings at Long Street, Middleton so that they can be brought back into community use. 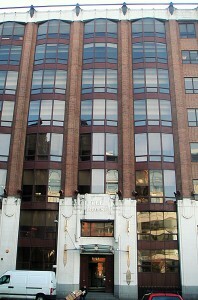 Click here for more information on the building. The Rev.John Simpson was ordained and moved to the Bahamas and then to Western Australia to take up a post as a young priest. While there he became a close friend of the Brierley family, formally of Rochdale, who had been closely involved in the setting up of the Co-op Movement. B.C.Brierley was a personal friend of the young architect, Edgar Wood, who designed and built Barcroft (Marland, Rochdale) for him. 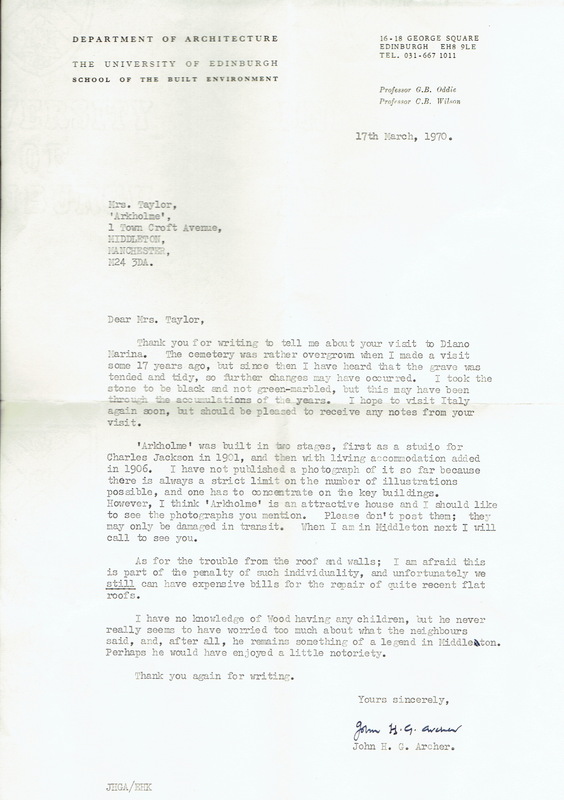 John was responsible for returning the Brierley family artefacts back to their original homeland in the hope of finding some interested associations in Rochdale. 769 lots of memorabilia went under the hammer at Capes Dunn in 2015 of which several items were purchased by EWS members. This year John has made a personal visit to the UK and EWS member and owner of Barcroft, Georgina, was keen to show him the EW properties in Middleton, especially Long Street and invitations were also accepted by the Mayor (Councillor Ray Dutton) and the Mayoress , Councillor Jim Gartside and his wife Jane a former councillor, were part of a large party attending. Here we have a new Arts & Crafts project for you. Why not… learn to embroider and have some fun? This is a day for those of you who would like to acquire or refresh some embroidery skills. Perhaps you want to move beyond cross stitch, perhaps you want to remind yourself of skills learnt in the past, or perhaps you simply want to have an enjoyable day learning something new at The Arts & Crafts Church. 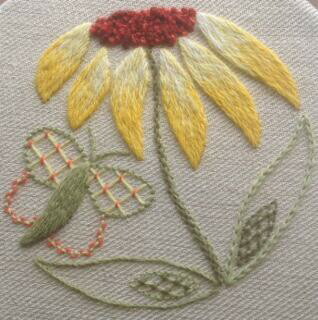 This day offers an introduction to surface stitching on linen fabric using crewel wools. By the end of the day you will have learnt enough to be able to finish your kit at home. The course will take place in one of the meeting rooms in the historic setting of Long Street Methodist Church. The course price is £45 + booking fee and for that you will receive five hours tuition, a kit with all necessary materials and instructions, tea/coffee etc. You can borrow embroidery frames and scissors on the day at no charge. For lunch you can bring your own or buy something at Ye Olde Boar’s Head PH, the oldest pub in the North-West, just next door. 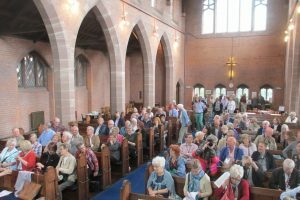 As part of the Victorian Society’s AGM weekend, almost one hundred members from all over the country visited the Arts and Crafts Church this afternoon. The programme consisted of a brief resume of the work of Edgar Wood, a look around the church and school and exhibitions. 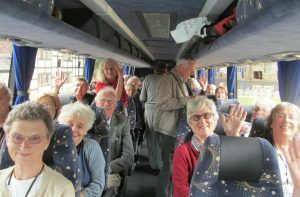 Four groups of approx twenty went on escorted walks to see the Edgar Wood buildings in the Conservation Area, while those less mobile had a ‘virtual tour’ at the church. 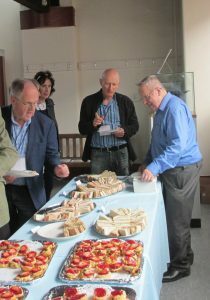 Before departing they enjoyed afternoon tea provided by Greater Manchester Building Preservation Trust. 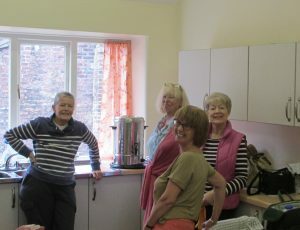 A rewarding afternoon was had, but only possible as a result of all the work by the Edgar Wood Society volunteers: the research group for providing up to date findings and those who wrote and edited new and revised leaflets and guides, those who led the walks and the ladies for providing over 100 cups of tea/coffee and not forgetting those who set up and cleared up after the event. A big thank you. This is how this fascinating new book begins. It is an in-depth study of how and why Manchester developed into an internationally important city. It’s a thoroughly enjoyable read with lots of information and ideas. Dippers and browsers will not be disappointed as the themes can be easily followed through the many illustrations and their captions. 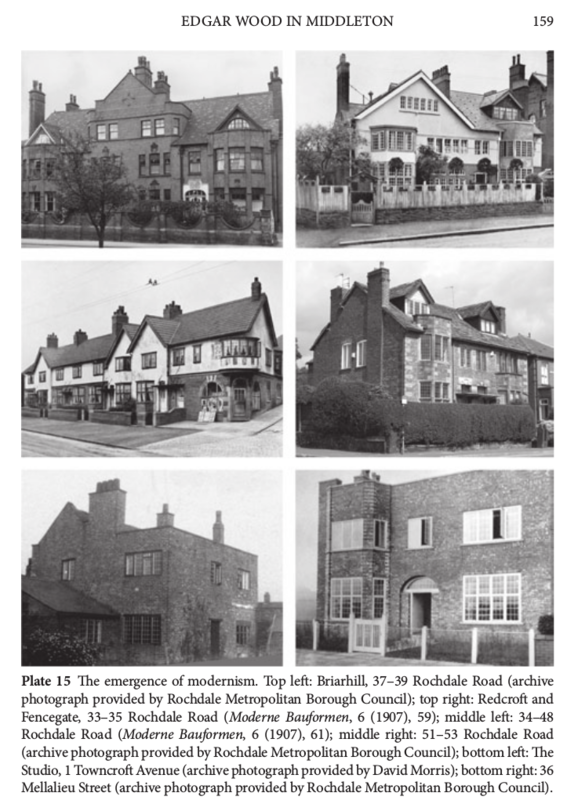 Edgar Wood and Alkrington Garden Village get a passing mention in the above photograph. The book is not really about architecture but social, political and industrial history. Full details are HERE. 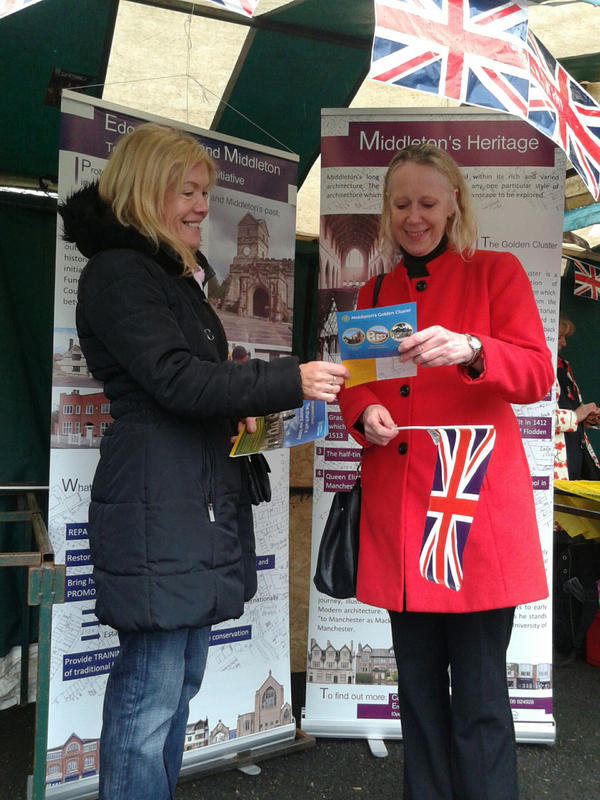 A new leaflet is being distributed across the borough and further afield for visiting Middleton’s Golden Cluster. Look at the events/calendar for visiting times. 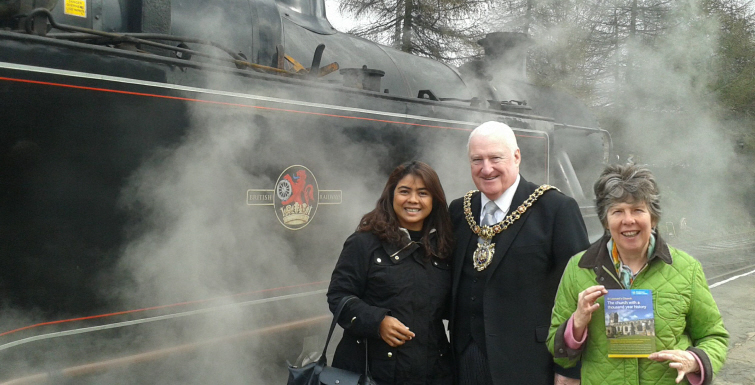 The Lord Mayor of Manchester accepted a leaflet while visiting the East Lancs Railway and at Middleton’s May day celebrations, Sally was on hand in the Heritage gazebo to pass on a leaflet to Liz McInnes, the MP for Middleton and Heywood. Many Wood and Sellers enthusiasts popped into the Wood and Sellers evening and exhibition on March 10th at Manchester Metropolitan University. 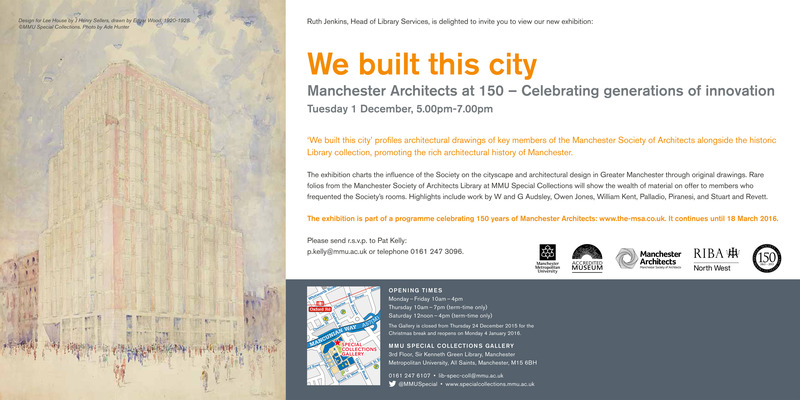 The evening and exhibition were part of a programme celebrating 150 years of Manchester Architects held at the MMU Special Collections Gallery. Called, ‘We built this city‘ it charted the influence of the Manchester Society of Architects on the cityscape and architectural design in Greater Manchester through original drawings. Rare folios from the MSA Library at MMU Special Collections showed the wealth of material on offer to members who frequented the Society’s rooms. Highlights included work by W and G Audsley, Owen Jones, William Kent, Palladio, Piranesi, Stuart and Revett and, of course, Wood and Sellers. Christine was nominated by Dave Lees for a Manchester Histories Community Award. 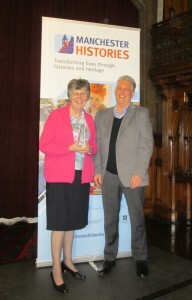 Christine was one of three short listed for the Pickstone prize and is shown holding the award for being highly recommended by the judging panel. 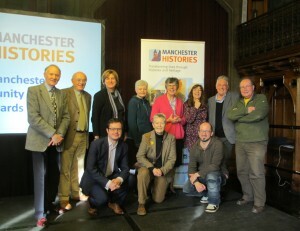 The ceremony took place in the grand surroundings of banqueting room of the Manchester Town Hall. Dave gave an excellent, timed five minute presentation about Christine’s role in promoting Middleton’s history over the last twelve years and her close involvement in the pending restoration of Long Street Methodist Church and School. 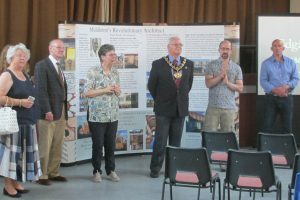 Representatives from Middleton’s historical and civic societies and Mr.N.Barton from the planning department of RMBC came to give their support. 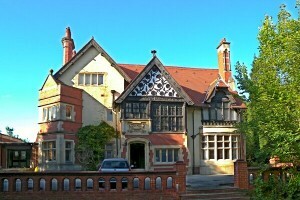 Edgar Wood’s Middleton home, Redcroft (1891), is been painstakingly restored as part of the Heritage Lottery Fund THI scheme run by the Council and Middleton Heritage. 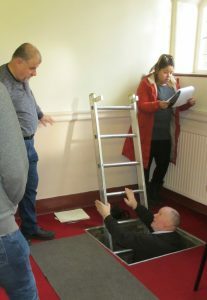 The work is being overseen by conservation surveyors Alan Gardner and Rupert Hilton under the watchful eye of the Council’s conservation officer, Sue Oakley, and is being funded by a large grant from the Heritage Lottery Fund THI. 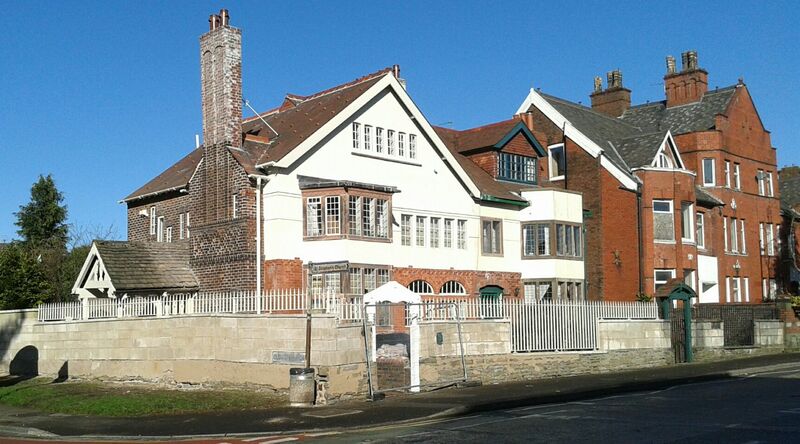 The scaffolding finally came down last week and while the perimeter wall, gate and other details still have to be finished off, the result was photographed by the Edgar Wood Society to get the good news out. 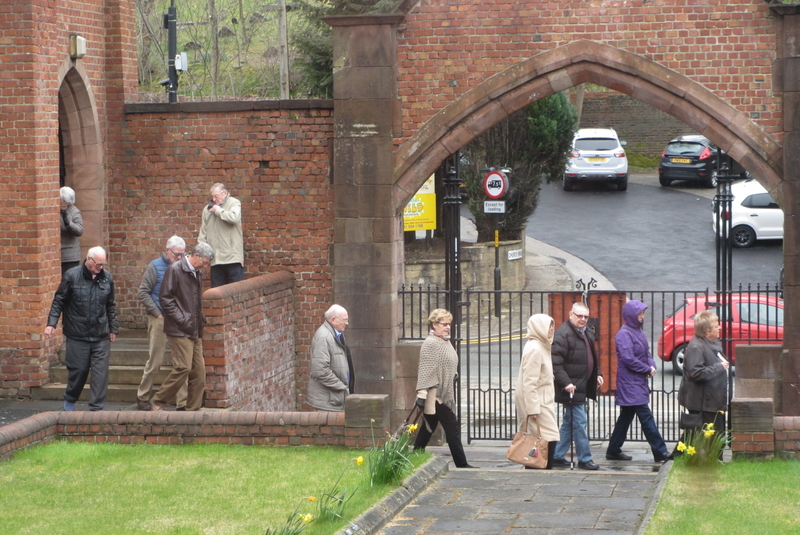 Still to come is the restoration of Edgar Wood’s carved Arts & Crafts motif over the restored gateway. Interestingly, this had ‘Mackintosh style’ lettering even though it was designed by Edgar Wood several years before Charles Rennie Mackintosh had got going (he was eight years younger than Wood). Many historians believe that Mackintosh knew Edgar Wood as they shared quite a few design ideas. The motif suggests Mackintosh visited Wood at Redcroft on one of his trips to Manchester. Redcroft was built in 1891 at a time when the young Edgar Wood loved the combination of strong red or orange colours set against bright white. He also painted timber and metal details white, in complete opposition to the usual Victorian dark greens and browns. 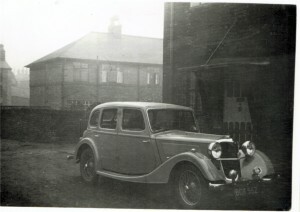 Edgar Wood’s intentions are been faithfully restored in the restoration using historic photographs and the expert knowledge of the Edgar Wood Society. However, a sense of the passing of time is also being kept, for example by not cleaning the brickwork and by keeping the modern iron railings. 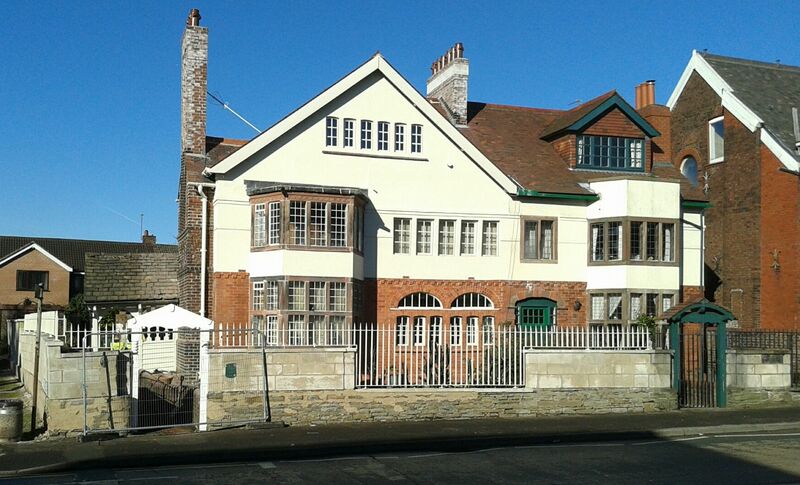 The result is an orange and white Arts & Crafts house that brightens up the street scene of the conservation area! Redcroft and its neighbour, Fencegate, were the first of a new breed of Arts and Crafts semis which combined red brick and white render with a cottage feel. The style quickly caught on and subsequently dominated much of twentieth century house design. 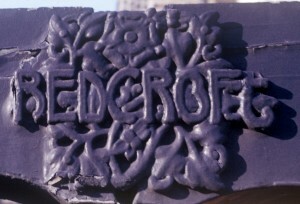 The influence of Redcroft and Fencegate can be seen in many buildings across Middleton and the Manchester region. 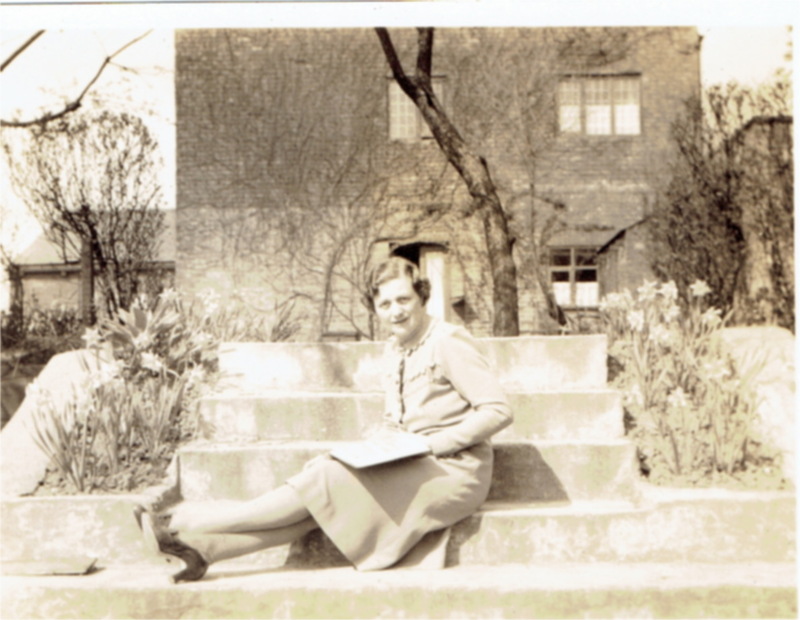 Edgar Wood lived at Redcroft for 24 years before moving to Hale, Trafford where he built his second home, the pioneering art deco, Royd House. However, before he did so, he gave Redcroft an art deco touch by redesigning the front garden and replacing the perimeter fencing with limestone blocks which were lowered in the centre to set off a remarkable art deco sculpture, which is now unfortunately lost. 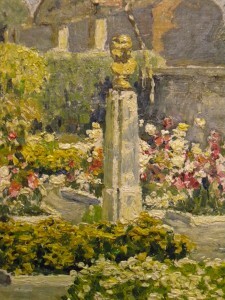 However, it is recorded in Edgar Wood’s painting of his front garden. In these two houses, Redcroft and Royd House, Edgar Wood used the design of his own home to set national and international trends in house design. 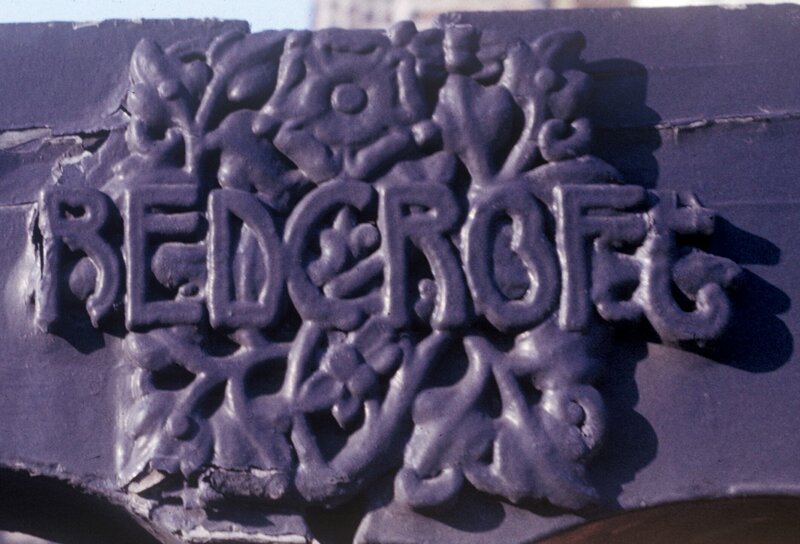 The restoration of Redcroft will complete the restoration of the pair, since Fencegate was restored in the 1990s, a project that involved completely rebuilding the house because of subsidence! 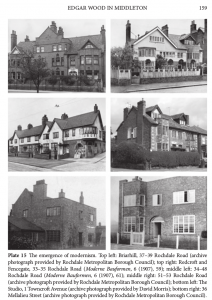 Redcroft and Fencegate belong to Middleton’s core of six Edgar Wood buildings which show how modern architecture emerged from historical Victorian styles (see extract from Manchester University paper opposite). This group is of international significance. With Redcroft and Fencegate restored, attention is now moving to some of the others, especially the neighbouring semi of 1892, originally called Briarhill. This was Edgar Wood’s first building to be published in the United States of America! The two pairs of orange-red semis set each other off perfectly. When seen together from the south, the houses form an expressive twosome, the larger red building acting as a backdrop to the smaller white one. 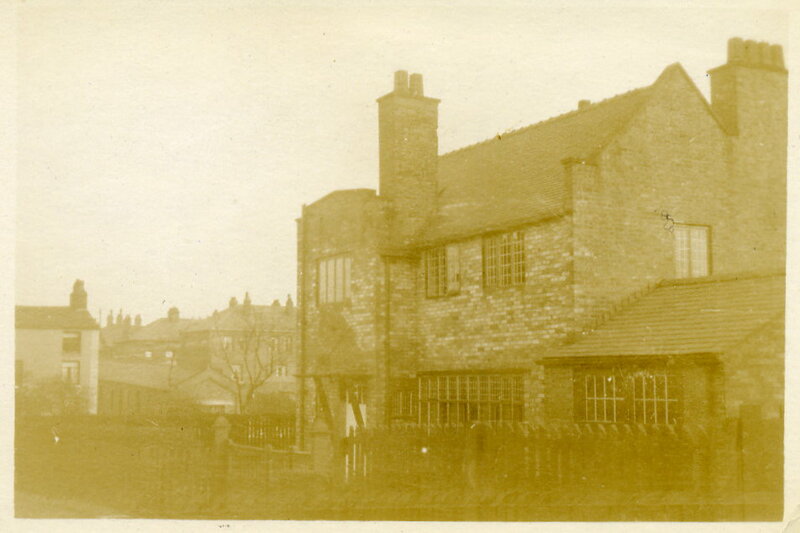 A collection of documents and photographs about Edgar Wood’s Arkholme, 1 Towncroft Avenue formerly belonging to the Taylor family is to go to the Edgar Wood Middleton archive, thanks to historian Geoff Wellens. The collection is a crucial source of information on what is Edgar Wood’s very first flat roofed design. It was erected in 1901 a year or two before he met J. Henry Sellers, with whom he was to pioneer art deco design. The material includes photographs of the house as it was in the days of its first occupant, Edgar Wood’s friend Charles Jackson, brother of painter Fredrick Jackson, before it was (sensitively) altered in the 1950s by the Taylor family. 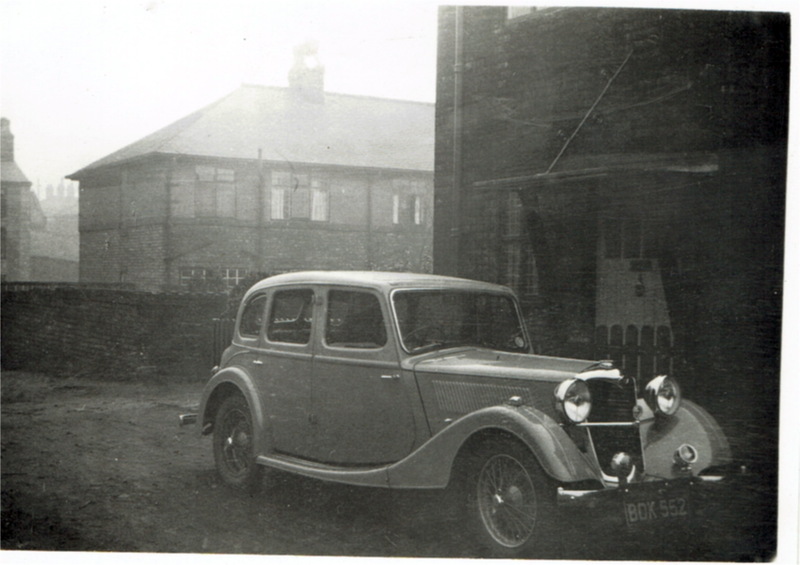 It also has images of Towncroft Avenue being widened, letters and invoices from tradespeople who worked on the house. 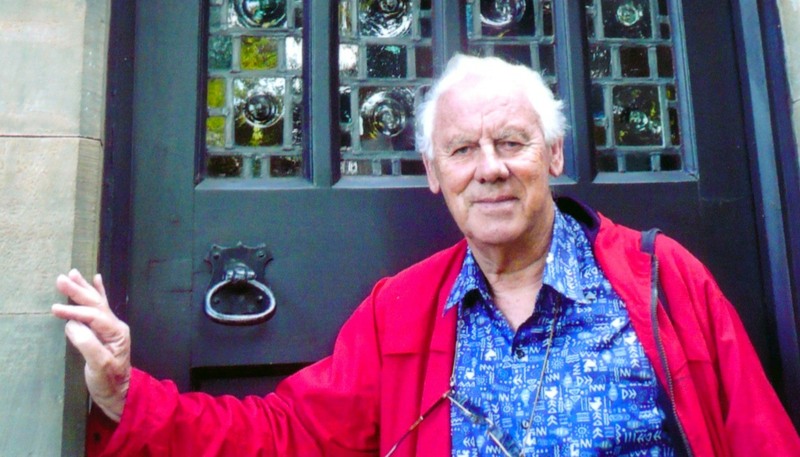 The Edgar Wood archive is managed by the Society curator Nick Baker. We had a great meeting on the evening of Thursday 11th, with an excellent turnout. Fortified by pizza, cheese and biscuits and cake, we worked through the upcoming activities and plans, not least the planning of September Golden Cluster Month. 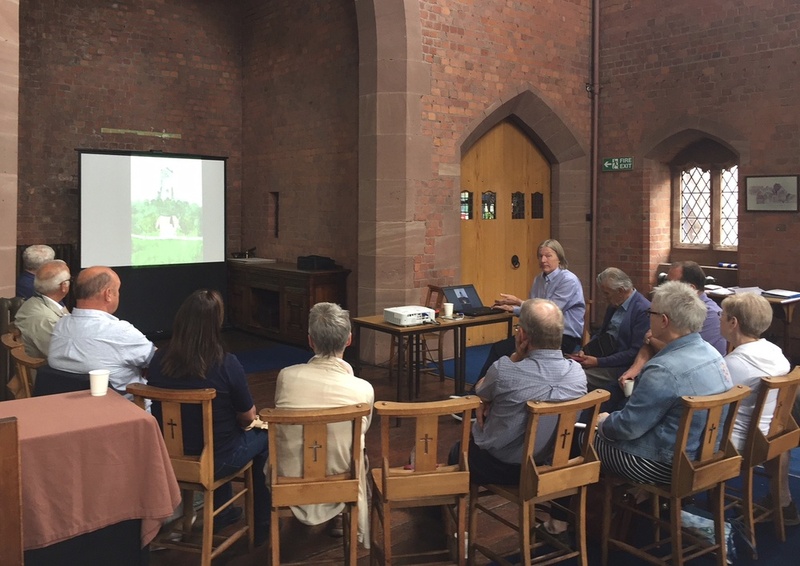 With the establishment of the not-for-profit company, tACT (the Arts & Crafts Trust) last year, Middleton Heritage is now developing new areas of community heritage activity, conservation and research. Rupert Hilton gave us an update on the Redcroft restoration, which is finishing very soon. As the scaffold is wrapped in plastic sheeting, we can’t wait to see the result when it all comes off. We also discussed some of the other up and coming THI grant schemes, not least the one for the Middleton Edgar Wood Centre, at the former Long Street Methodist Sunday School! Because of the excellent communication among group members, we are moving to a quarterly formal meeting to free up time for these new things.